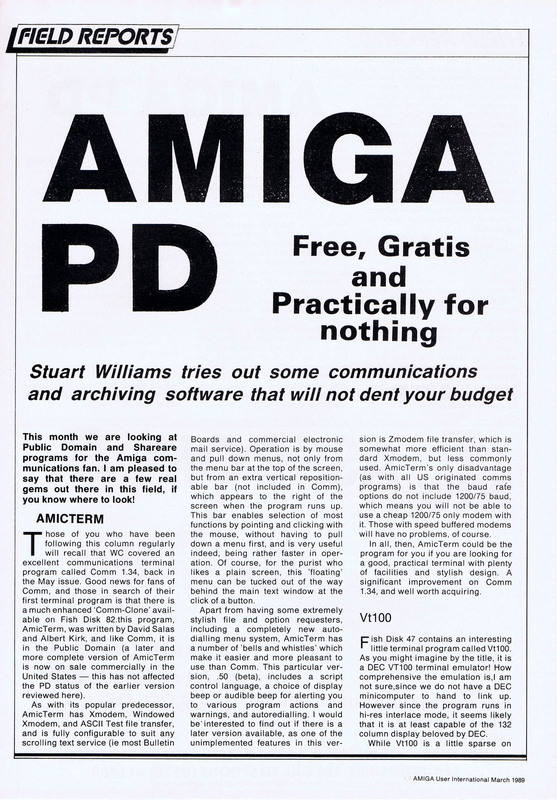 By March 1989, my monthly PD and shareware software feature had become a ‘constant factor’ of Amiga User International, but from time to time I also had other features published in the magazine at the same time. 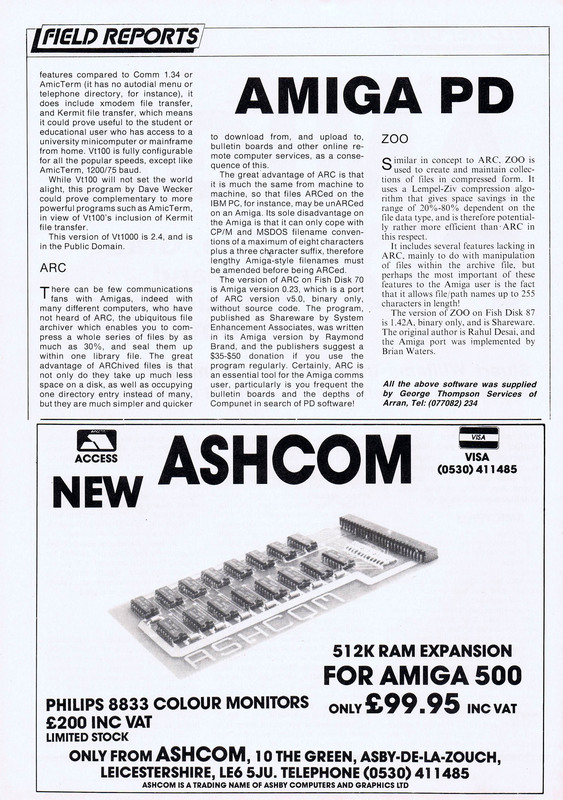 In this issue I was also writing about the Compulink Information eXchange (CIX) bulletin board system (see separate article under the Amiga Calling menu for this issue), so it made perfect sense to complement this by reviewing PD terminal software which would be useful to Amiga users wishing to access such online services. Also useful would be the means to extract PD software downloaded from such boards from the compressed file formats which were so essential when using slow dialup modems – remember, no broadband and no public internet! That’s what this feature also included.